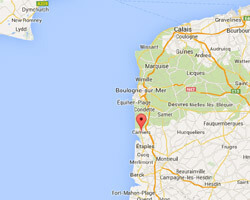 Camiers is located in the north of the estuary of the Canche river, close to the Bay de Canche nature reserve. The seaside resort of Sainte-Cécile-Plage is located facing the Touquet-Paris-Plage. At the seaside you can find long sandy beaches popular with families, kite surfing and yachting lovers. Green hills offer pleasant hiking trails. In Camiers enjoy a seaview holiday rental. 3 rooms Apartment. Balcony. Distance to the sea: 10 m. Nice view of the sea and the beach. Direct access to the sandy beach. Located 150 metres from Sainte-Cécile Beach, Appartement Vivacances offers free WiFi and a south-facing balcony and a view of the sea. The two-bedroom apartment provides an equipped kitchen and a flat-screen TV with satellite channels and a DVD player. Superb corner apartment facing the sea on the 3rd floor; Living room with stunning views over the sea. Balcony. Apartment comfort. Direct access to the beach. Price from 470 € to 750 €. This property is a 1-minute walk from the beach. 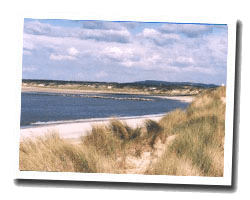 Located in Sainte-Cécile-Plage, Appartement Ste Cecile Plage offers an apartment for 4 people 6 km from Le Touquet-Paris-Plage.